(CNN)House Speaker Nancy Pelosi isn’t even trying to hide it anymore: She takes a dim view of the narrative that Rep. Alexandria Ocasio-Cortez of New York represents some sort of powerful future of the Democratic Party. 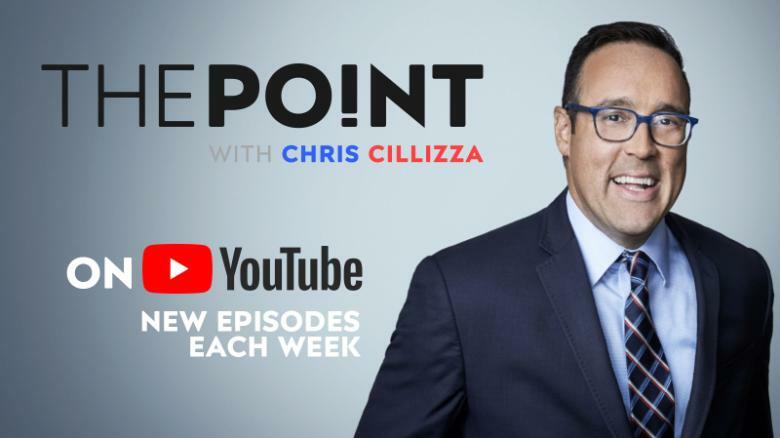 In each episode of his weekly YouTube show, Chris Cillizza will delve a little deeper into the surreal world of politics. Click to subscribe! Lesley Stahl: You have these wings– AOC, and her group on one side–Pelosi: That’s like five people.Stahl: No, it’s — the progressive group is more than five.Read MorePelosi: Well, the progressive — I’m a progressive. Yeah.”That’s like five people.” I mean, Pelosi isn’t even really being subtle about it at this point. She (a) quite clearly views the whole AOC phenomenon as heavily overstated and exaggerated and (b) resents the idea that people tout AOC as some sort of new version of the perfect liberal. And she’s not AT ALL afraid to say it. Time and time again. Earlier this month, in an interview with USA Today, Pelosi said this of the influence of AOC and her followers: “While there are people who have a large number of Twitter followers, what’s important is that we have large numbers of votes on the floor of the House.” I wonder whom Pelosi could be talking about there??? ?In February, Pelosi was asked about the Green New Deal, a set of proposals aimed at addressing climate change that Ocasio-Cortez has endorsed. “It will be one of several or maybe many suggestions that we receive,” Pelosi responded dismissively. “The green dream, or whatever they call it, nobody knows what it is, but they’re for it, right?”That trio of quotes from Pelosi sends a very clear signal that she is the one in charge here, and she won’t be kowtowing to AOC or acting as though she has some sort of HUGE influence in the Democratic caucus.Pelosi’s action as speaker tell the same story. Ocasio-Cortez wanted to be on the Ways and Means Committee, which oversees tax policy. She didn’t get it.To date, AOC hasn’t really engaged with Pelosi — despite this series of provocations. She voted for Pelosi for speaker way back in January — to the jeers of Republicans — and the two found common cause in scolding moderate Democrats for voting with Republicans on procedural measures in the House. Of course, Ocasio-Cortez did participate in a sit-in protest over climate change at Pelosi’s office late last year — before she was even a member of Congress. And although Pelosi played the whole episode off as a nothing-burger, it’s not hard to see how that might have rankled her.The divide between Pelosi and AOC represents a broader disagreement within the party as it continues to grapple with how to deal with President Donald Trump. Ocasio-Cortez represents a new, younger breed of Democrat who is far more willing to confront Republicans and to fearlessly push very liberal solutions that could open them up to counterattacks from the GOP. Pelosi is old school — a liberal, yes, but someone who has built a career on realpolitik, finding workable solutions amid a longer-game view of politics. What’s fascinating is that the chasm between the Pelosi and AOC wings of the party — although Pelosi would likely roll her eyes at the idea of an AOC wing — isn’t really ideological. The Democratic Party, broadly speaking, has become more liberal overall during the past decade. And no one who knows anything would ever think of calling Pelosi a moderate. Rather the difference is in tactics and approach.In the presidential race, the same dynamic is likely to play out between former vice president Joe Biden (Pelosi wing) and Vermont Sen. Bernie Sanders (AOC wing). Yes, Sanders is more liberal than Biden across the board. But both men generally fit into the definition of a liberal Democrat (Biden’s Senate record won’t be mistaken for that of Joe Lieberman any time soon). The difference is in tone; Sanders views the vast majority of Republicans with skepticism — if not outright contempt. Biden sees the other side as well-meaning but misguided people who, if presented with the right case, can be persuaded.It remains to be seen how these stylistic differences play out in the presidential race. But we know how they are working out on the House level: Pelosi isn’t having it. Any of it.